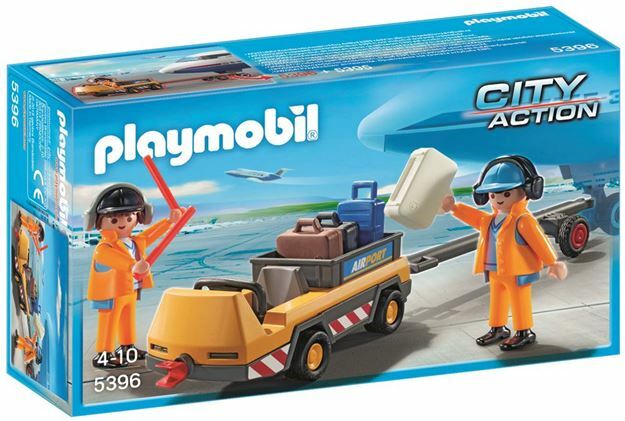 The Playmobil Aircraft Tug with Ground Crew are essential in making sure any flights land safely. The ground crew can help the pilots by showing them which runway to take using the orange batons. The Tug can be packed with luggage to load or unload a plane. With the connection rod at the rear, the tug can be connected to the front axle of the passenger plane (sold separately) and pulled into position. Includes: tug, 2 figures and accessories. Part of the City Action range. Age 4+ years. Distributed in New Zealand by Holdson.